Computer simulations confirm that efforts by UO scientists to develop retinal implants based on fractal geometry are worth moving toward human testing. The simulations — detailed in a paper published July 27 in Nature Scientific Reports — offer hope for people facing vision loss from retinal diseases. 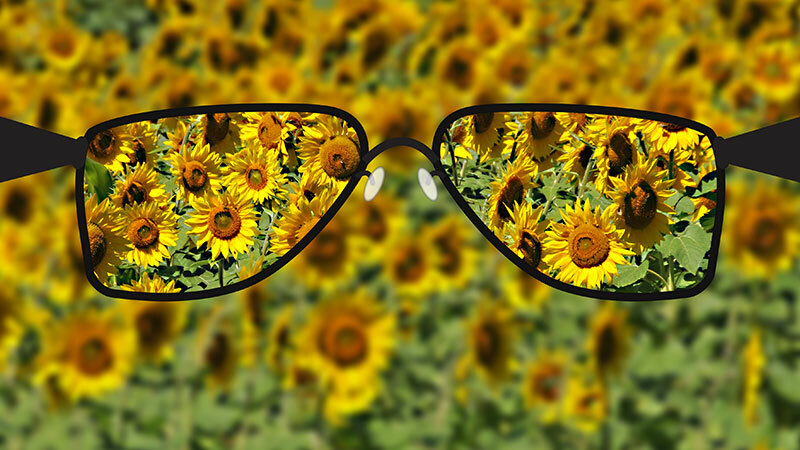 Age-related macular degeneration alone affects 11 million people in the U.S., and that number is expected to double by 2040, according to the BrightFocus Foundation. “What we’ve demonstrated is that using a fractal implant should allow us, in principle, to deliver 20/80 vision,” said UO physics professor Richard Taylor, head of the Materials Science Institute. People with 20/80 visual acuity can see objects at 20 feet away that those with normal or 20/20 vision see from a distance of 80 feet. A person with a corrected vision of 20/200 or less is considered blind under the U.S. Social Security Act. In the research, the UO team studied the potential performance of their bio-inspired implant, which would be inserted behind the eye’s retina. The implant features an array of fractal electrodes designed to stimulate retinal neurons. Fractal objects in nature have repeating patterns such as those easily seen in tree branches, rivers, snowflakes, blood vessels and neurons. The idea behind the implant being pursued by Taylor is to use electrodes that have the same fractal shapes as the neurons with which they will interact. Current retinal implants use shapes, such as squares, based on traditional Euclidean geometry. In human clinical trials with current devices, acuity has been achieved at just 20/1,260 with implants placed in front of the retina. For devices behind the retina, only one patient has achieved just 20/546 acuity; 86 percent received no improvement, the researchers noted in their paper. In their computer simulations — done under a grant from the W.M. Keck Foundation — UO researchers compared the ability of fractal and Euclidean electrodes to stimulate retinal neurons. The fractal version stimulated 90 percent more neurons while using less voltage. Because of their repeating patterns, fractal electrodes provide a large surface area that holds more electrical charge than the Euclidean electrodes, said William Watterson, a doctoral student of Taylor’s and the study’s lead author. In the eyes, electrical charges would come from incoming light. In theory, fractal implants act much like a pixel array at the back of a camera. They use a lot of pixels within a confined space at the back of the eye, providing electrically-restored vision at a higher resolution, Watterson said. In retina-damaged eyes, the cones and rods that do such intermediate work disappear. The implants would replace them and stimulate the still-intact neurons. There is a long way to go before being able to treat people, Watterson said. The simulated results, Taylor said, will help in the design of miniature versions of the implants for testing in mice. Taylor’s former doctoral student Rick Montgomery, now at Fluence Analytics in New Orleans, was a co-author on the paper. Development of the implant is covered under a U.S. patent that also applies to any fractal-inspired device for biomedical purposes. Taylor, the UO, Taylor’s research collaborator Simon Brown, and Brown’s home institution, the University of Canterbury in New Zealand, hold the patent.